The mystery novel I'm currently working on was inspired by a family story. My father's uncle was the first of his family to come to the United States from India. He arrived in Pennsylvania -- right at the time of the influenza outbreak of 1918 that killed more people than World War I. He was one of the millions who died in the pandemic. Whispers among some of the family said he was murdered, because he was such a brilliant man that he was perceived as a threat. I doubt it's true, but wouldn't it make for a great piece of fiction? 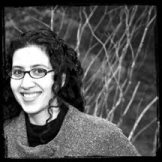 The premise that kicks off Pirate Vishnu (my working title) is that historian Jaya Jones had always believed that her great uncle died in the Great San Francisco earthquake of 1906 -- but what if he didn't? My real-life family story doesn't involve a missing treasure, a coded treasure map, pirates in the San Francisco Bay, or a present-day murder -- but that's where fiction takes over. 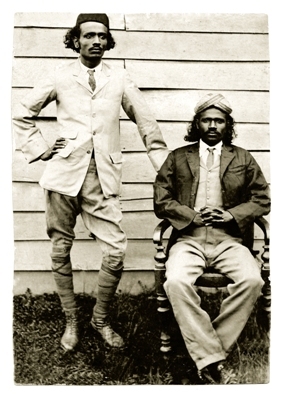 This book is taking a while to write, because I'm alternating between the past (1900-1906 San Francisco Barbary Coast and the Indian kingdoms of Travancore and Cochin) and present (modern-day San Francisco and India). One of the things I have to inspire me with the scenes from the past is old family photos. 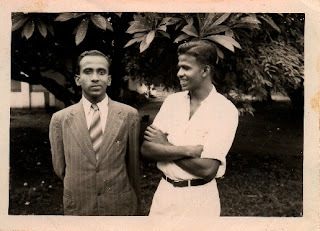 Here's a photo of my uncle and father in India in the 1950s -- don't their expressions make you wonder what they were talking about? And here are two great uncles, one of whom worked on a British tea plantation and was beaten to the point where he became deaf. Yeah, maybe real life is sometimes just as dramatic as fiction. I agree. Life can be much stranger than fiction! The pictures of your family are fascinating. And the intrigue about your father's uncle...we have a similar story, where our great uncle turned out to be a spy in World War II. Just went missing...for a long time. My sister has tried to get the story from the gov't, but they aren't quite forthcoming. Go figure! Good luck with your writing. I know you're fabulous and can't wait to read the finished manuscript. Avery -- How interesting about the spy in your family! Do I sense another thriller coming on? Fabulous photos, thank you for sharing! Love your ability to ask those 'what if' questions! Mysti - That's so fun to think about a Danish castle! You can tell your dad I think he looks quite handsome!